ANN ARBOR, Mich. — Jon Teske had 13 points, eight rebounds and four blocks as No. 19 Michigan beat Norfolk State 63-44 to give John Beilein his 800th career coaching victory on Tuesday night. Michigan’s Charles Matthews scored 10 points, but was 0 of 4 on 3-pointers and 0 of 5 on free throws. Freshman forward Ignas Brazdeikis had 12 points on 3-of-10 shooting in his debut with the Wolverines. 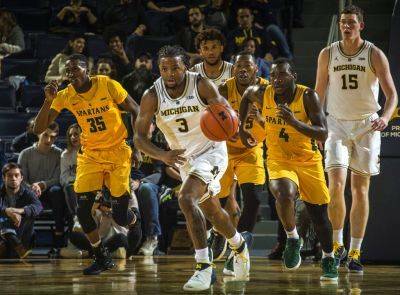 Lima Senior graduate Xavier Simpson started for Michigan and finished with four points, five rebounds, and five assists. Norfolk State: The Spartans will struggle to win much if they don’t shoot better. Michigan’s defense is good, but Norfolk State missed many shots that were simply not contested and finished shooting 31 percent. Teske scored two points with ease early in the game. The center missed a free throw and got the ball back because everyone on the court thought he was getting two shots at the line.